The personal income tax rate is 20% for all residents. Unlike the UK, there are no higher rate bands, capital gains tax or inheritance tax. For further details please visit the Tax section of gov.je. There is an annual minimum tax contribution of £125,000. HVR applicants are required to demonstrate they have sufficient wealth to generate the annual minimum tax contribution in future tax years. For further information on relocating as a High Value Resident please visit Locate Jersey. 20% on all income earned from land and buildings in Jersey, or dividends paid from a company in receipt of Jersey property income. 20% on the first £625,000 of all other income. 1% on all income above that level. financial service companies which are taxed at 10%. utility companies which are taxed at 20%. 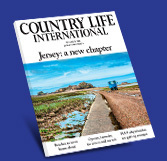 income derived from Jersey property rentals or Jersey property development is taxed at 20. For further information please visit the Company Tax section of gov.je. No stamp duty on equity transactions.